This line should not be taken literally, as if this Chossid thought he was a person full of arrogance. This was a very refined, humble person, and he knew his level. On the contrary, because he was so refined, he felt that even the small sense of self that he did have was detracting from the total submission to Hashem that he longed for. His natural, human self-love and preoccupation with his own concerns bothered and distressed him. In other words, even someone on a higher level (and perhaps especially such a person) should realize how low he is. This is discussed in Tanya ch. 29. 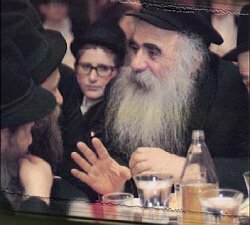 There the Alter Rebbe explains that our self-awareness is in fact awareness of the Nefesh Ha’Behamis, the Animal Soul. 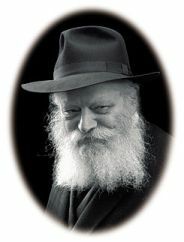 In order to get in touch with our true selves, the Nefesh Ha’Elokis, the Divine Soul, special Avodah (effort at self-improvement) is required such as Iskafya (self-restraint from indulgence), prayer with intense concentration, and intensive study of Torah in general, and the inner dimension of Torah in particular. How do we have a hope of pulling ourselves out of this mire of ego, and connecting to Hashem and to our Divine Soul within? Especially in light of the fact that “a prisoner cannot free himself from prison” (Berachos 5b)? The answer is the Tzaddik, the Rebbe. He has no evil inclination. He has truly transcended the natural human condition of selfishness. His entire being is nullified to G–dliness, and thus G–dliness shines through him without obstruction. Thus, by learning from him and devoting ourselves to him, he elevates us beyond our ego, and grants us the ability to transcend our personal limitations and devote ourselves to Hashem in the most sublime manner possible during exile, and thus prepare ourselves to submit to Hashem in the most sublime manner possible after Moshiach comes.